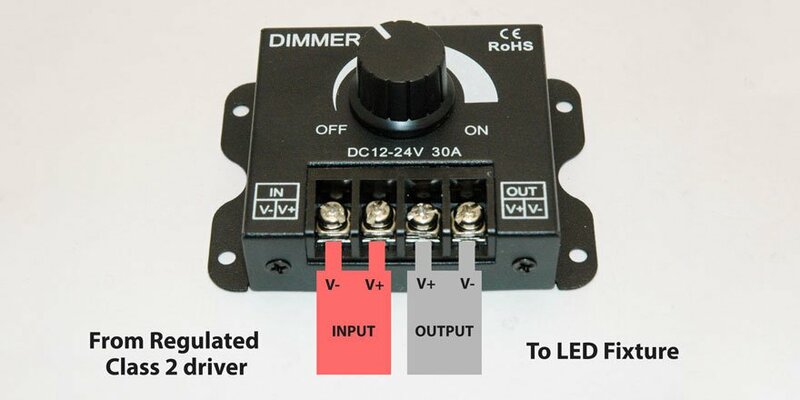 Low voltage mini LED dimmer can dim 12 or 24VDC LED Flex strips or LED bars from 0%-100% using Pulse Width Modulation (PWM). 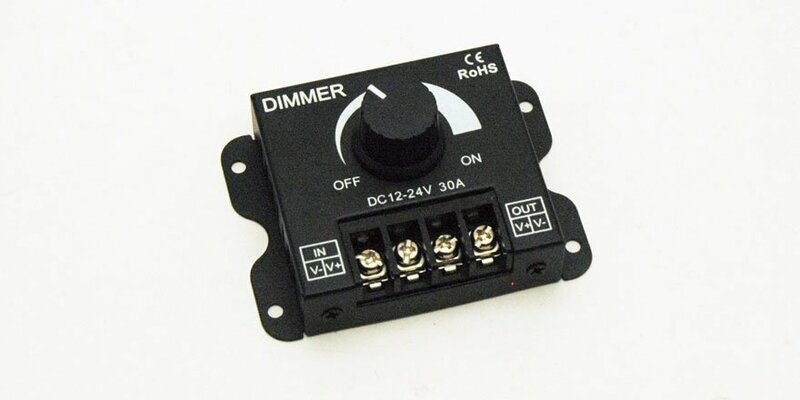 It has an easy to use control knob for variable brightness levels. Screw terminal connectors allow for quick and easy connection for power input and output. Maximum continuous load is 5 Amps. 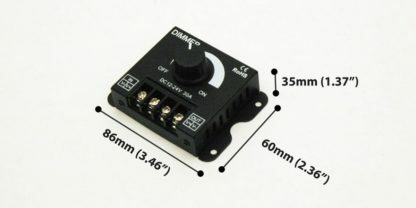 Connect 12 or 24VDC Class 2 power supply to input. Do not exceed 24VDC. 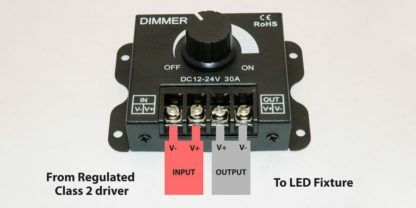 The low voltage mini dimmer can accept a maximum peak load of 30-amps, however do not exceed continuous load of 5-amps. Use only with class 2 power source. Use appropriate wire gauge for load input and output.